So I decided to revive my kombucha. I hadn’t made any since before our last move. Somehow between packing and morning sickness at the time, I couldn’t keep up. So, I put it in a jar with some of the kombucha liquid, stuck it in the fridge and it has sat there ever since. Two years later I’m finally ready to try again. Tea and sugar water cooling. I took my jar out and let it sit on the counter overnight so that it could warm up to room temperature. 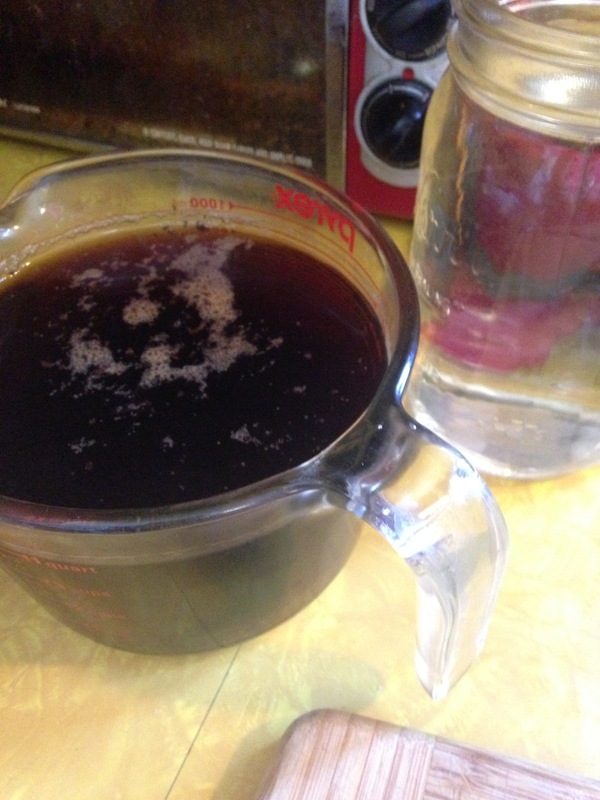 The next day I made up my sugar and tea mixture. 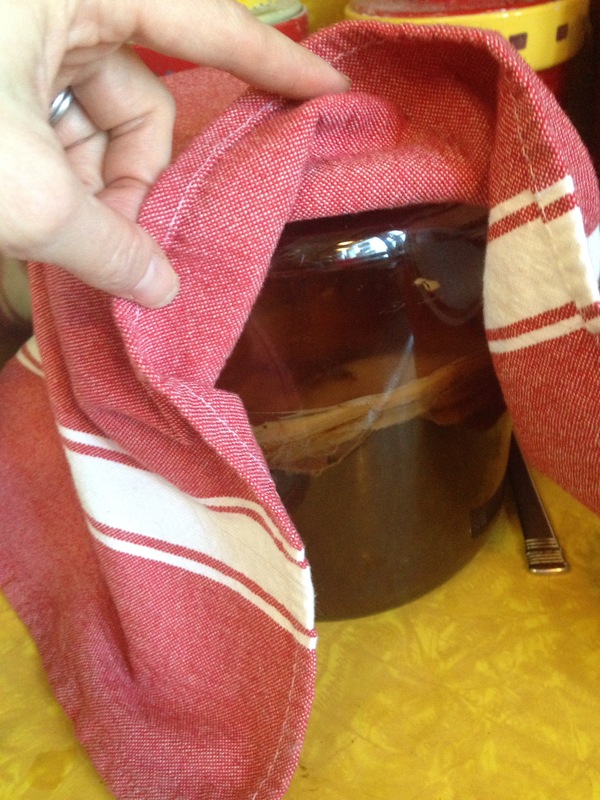 For more specific directions on how to brew kombucha see my other posts – (Cranberry Ginger Kombucha). I brewed three batches before I started drinking it again to be sure that it would revive. I’m pouring up a new batch today. Ferments amaze me. The fact that all those little bacteria do what they do fascinates me. I think I need to start another ferment. Maybe I’ll go back to one of my favorites – Garlic, Onion, Jalepeno Relish. Or maybe I’ll try beets. Fermented beets are delicious. Until I get around to that, I think I’ll go enjoy my kombucha. This entry was posted in Ferments, Health, Remedies. Bookmark the permalink.